Companies trading with foreign firms whose debt is denominated in U.S. dollars are on especially shaky ground. The dollar appreciated over 2018, and the trend will likely continue as the Federal Reserve maintains its rate hike strategy. While that sounds positive, it brings strain on exporters, particularly those trading with foreign companies with debt denominated in U.S. dollars. The math is simple: When foreign companies take on debt in USD, they must convert local earnings into USD to pay the interest and repay the principal. As the dollar goes up and the local currency either stays the same or depreciates, business is suddenly more expensive, which can result in liquidity pressures. For U.S. companies counting on payment from these companies, the current global outlook spells an uptick in currency risk. Although in 2018 the global economy grew by 3.1% — the greatest expansion since 2011 — Atradius analysts expect growth to moderate in 2019 as the U.S. fiscal stimulus fades, the Federal Reserve continues its monetary tightening, and China’s economic growth continues to slow. One of the top concerns for the global outlook is Fed policy, which challenges growth in many countries. That’s particularly so for emerging market economies (EMEs), where the economic policy uncertainty index has gone up notably since early 2018. Why Take On Debt in USD? There are many reasons why a foreign company may have debt denominated in U.S. dollars. For one, suppliers may require payment in USD to protect their accounts receivable, especially when dealing with companies located in EMEs with volatile currencies. It’s also the case that some emerging market firms may prefer supplier credit over bank credit. Local banks may be riskier, again because of their ties to a less dependable currency. Local credit can be prohibitively expensive, with high fees and interest rates. Further, local credit may be difficult to obtain, as some banks in EMEs are tightening up credit standards, increasing interest terms, or requiring more collateral such as letters of credit. Another scenario to be aware of is that some EMEs use USD as their predominant currency. Examples include Ecuador, El Salvador, Panama (its currency is the balboa but it’s pegged to the U.S. dollar), and some Caribbean nations. In those cases, the USD functions similarly to gold — as protection against an unstable currency. Businesses operating in those countries would most likely have debt denominated in USD. Liquidity issues related to foreign debt denominated in USD are tied closely with regions experiencing high currency risk. That’s the present scenario in many EMEs in the Americas. The trend picked up steam in August 2018, with Venezuela issuing a new currency, the bolivar soberano, in an attempt to bolster its collapsing economy. The collapse was a long time coming. Following the 2008 crisis, the Venezuelan government ratcheted up its spending to maintain growth, took on massive debt loads and printed bolivars like they were going out of style. Now that the economy is slowing, there’s no financial cushion to soften the blow. The latter half of 2018 also saw unexpected sharp depreciations for the Argentine peso (which depreciated more than 50%) and the Brazilian real (25%), as well as increased pressure for the Mexican and Colombian pesos. 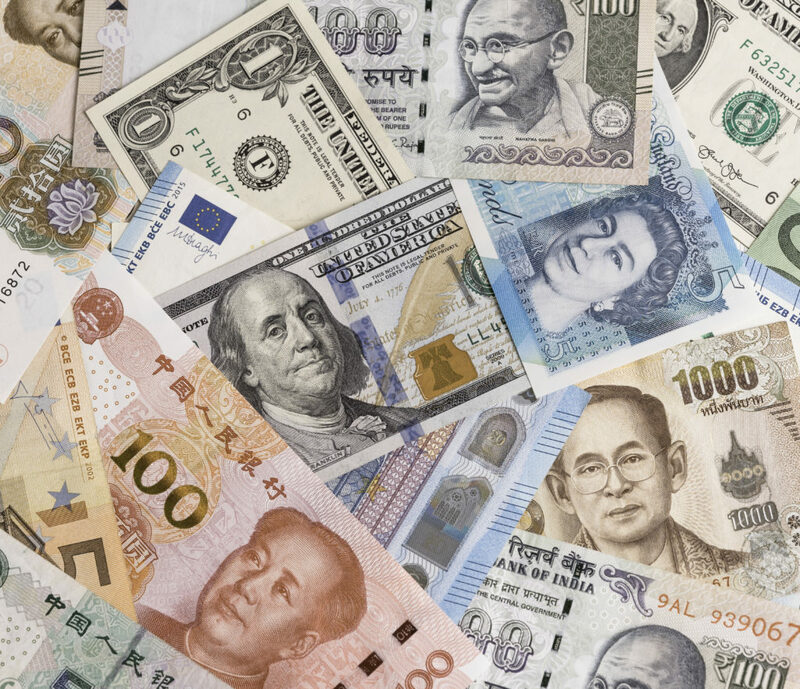 EMEs in the Americas aren’t the only ones experiencing currency woes, however. 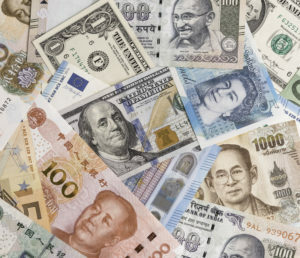 Lately there’s been a toxic mix of cross-currents hitting currencies all over the globe, creating an uptick in global trade tension. That in turn causes a tightening of main credit, higher interest rates, and uncertainty as to where companies will source materials and products. A country facing particularly acute currency problems is Turkey, where the economy overheated following a poorly targeted fiscal stimulus. U.S. companies shouldn’t shy away altogether from trading in EME markets. GDP across these markets is holding up, with respectable 4.4% growth predicted for 2019. That said, as global risks mount, companies trading with foreign firms must be more vigilant than ever to protect their accounts receivable against late or missing payments, bankruptcies, and other liquidity hardships suffered by their trading partners. This starts with looking into each trading partner’s financial standing and payment practices, which can be accomplished by gaining access to the company’s financial statements (audited statements are preferred). These can reveal a company’s liquidity position, past payment practices and more. It’s also a good idea to perform reference checks on the company’s banks and, if possible, other customers. Also check credit agency reports in the business’s home country. To lessen liquidity risks stemming from currency performance, companies trading with foreign firms in high-risk regions should make sure that customers have access to USD bank credit facilities and hedging instruments in order to mitigate the negative impact of credit volatility. For instance, some EME companies that conduct business in USD will have bank accounts in the United States and will sometimes make payments through a U.S. bank or their local bank’s U.S. branch. Finally, it’s a good idea to protect sales to EME customers with debt securities and guarantees and to seek collateral on sales or letters of credit to secure sales. Trade credit insurance also provides protection against late or missing payments, customer bankruptcies, and even natural and political disasters. Bob Merino is a manager of Latin America risk services for Atradius Trade Credit Insurance. He oversees a trade credit insurance portfolio in Latin America and the Caribbean that’s responsible for risk assessment and acceptance, loss minimization, and recovery-maximizing activities.